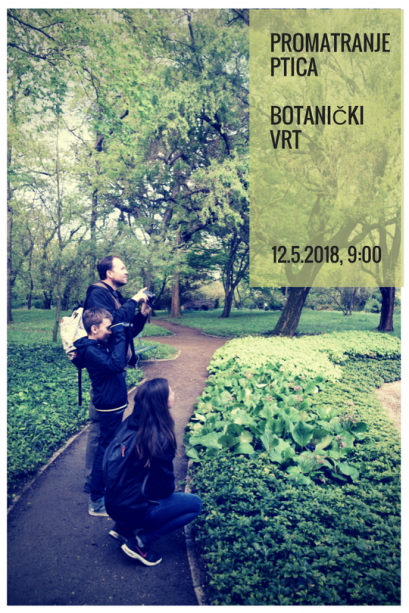 Join Biom on Saturday 12th May 2018 on a birdwatching event in the Botanical Gardens in Zagreb, Croatia. The meet-up is at 9 A.M. in front of the main entrance of the Botanical gardens in Mihanovićeva street. The duration of the event is 2-3 hours and you can join and leave us at any time. Biom will bring binoculars and bird determination books. In case of bad weather, the birdwatching event will be canceled so be sure to check our Facebook page and web.